Metal Roofing comes in a very wide variety of Products & Manufacturers. We can help you with Many different Styles of Roofing. 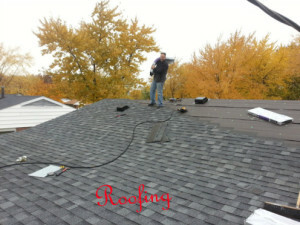 Metal Roofing Construction doesn’t stop with Asphalt Roofing. Metal Roofing is another option with many shapes and colors. we can help you with all of you Metal Roofing Installations & Repairs. New Metal Roofs comes in many Styles & Materials. made of Aluminum, Steel, & Galvalume. Metal Roofing Costs and Prices vary but last a lifetime. on your budget by doing an Over-Lay on top of your Existing Roof. maximum number of 2 layers on a roof. New Sheeting is sometimes necessary. Wind Damage, Water Damage, or Storm Damage. Roof Maintenance is very important. Your Roof is one of the main parts of a home that separates us from the elements. Leaking Roofs can be very costly if they are not addressed promptly. Damage to your Sheeting, Insulation, Joists, Rafters, and Ceilings/drywall. Known for their high probability Leak areas.